This Qualification provides learners with the skills and knowledge to deal with a person having a heart attack or cardiac arrest. 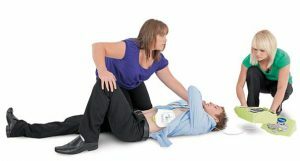 It meets the recommendations from the HSE covering the provision and use of an Automated External Defibrillator (AED) in the workplace. 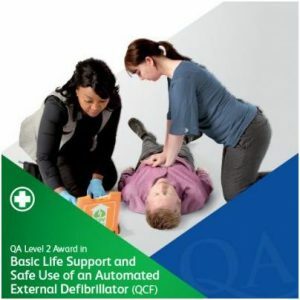 It conforms with the recommendations from the UK Resuscitation Council and it is further approved by the Association of First Aiders for the use of an AED both within and outside of then workplace. 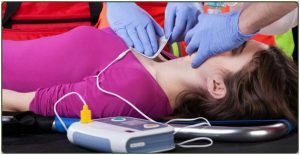 It is suitable for all first aiders and people who come into contact with individuals in risk of suffering with a cardiac arrest. * No charge is made for Learners who have failed to attain required standard to receive the award.